Peter and Edwina will spend a week at the centre this autumn. The visit will see the completion of the first phase of the relocation of the school onto its new site. The charity dinner raised, with donations, £1500. 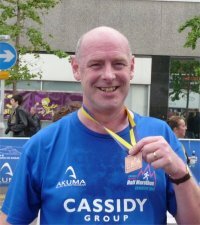 Thank you for you support and a special thank you to Colin Brown who provided some outstanding entertainment. 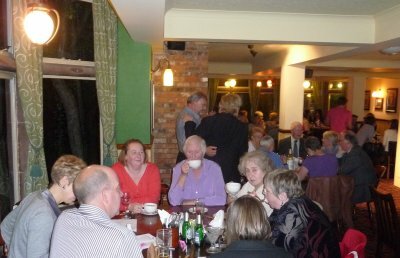 It was a wonderful evening enjoyed by all who attended. Thanks also to The Chase Hotel for hosting the dinner. 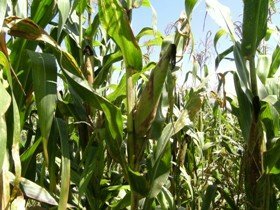 After a very dry July in Kenya, heavy rains in the west of the country have helped to improve the expected harvest in November. 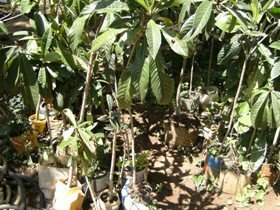 Fruit trees have also been planted as part of the sustainable work there. 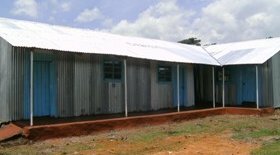 Below: The two new classrooms.